Sue Hanson sent us this picture of her nan, Hilda - and shared why the family donated in her memory. Our sincere condolences are with the family and our thanks that they thought of FMA UK at this sad time. I recently lost my lovely Nan, Hilda. Instead of giving flowers the family asked for donations in her memory to go to charity. I was touched when I heard that they had chosen FMA UK to be the chosen charity as I her granddaughter suffer from the condition and they said they knew that this is what she would have wanted. I feel I had a special connection with my Nan and although we did not talk about my condition often she always showed a real understanding and empathy for the struggles in my life and a wish for my life to get better. I know that it would have made her very happy to know that FMA UK had received over £400 in her name and memory. It is obviously a very sad time for all of the family and I miss her more than words can say but I feel that this in a special way is my Nan continuing to give her love and support. She was always a loving and caring lady with a great sense of humour and even at 102 years old was still young at heart. I am truly thankful to have had her in my life for so many years. The European League Against Rheumatism (EULAR) has launched the Edgar Stene Prize 2018. Every year, EULAR and EULAR’s Standing Committee of People with Arthritis/Rheumatism in Europe (PARE) offer the Edgar Stene Prize to people living with rheumatic and musculoskeletal diseases, for the best essay based on a specific topic. Lisa McLernon, 37, from Sutton-in-Ashfield will skydive in September in Langar, Nottinghamshire with UK Skydiving Adventures. She has already raised £750 on www.sponsorme.co.uk/lisamclernon and she continues to fundraise. The night-shift postal worker in Beeston will jump out of a plane at 13,000 feet to make a difference. 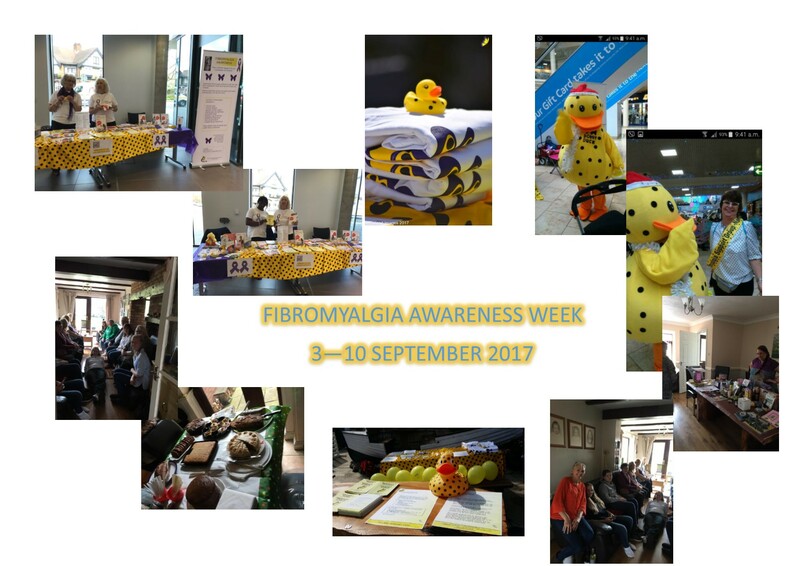 Lisa told us: ‘’I'm supporting Fibromyalgia Action UK, Alzheimers Research UK, Nottinghamshire Wildlife Trust and Royal Scool for the Deaf Derby. All the money raised will be equally split between these charities. 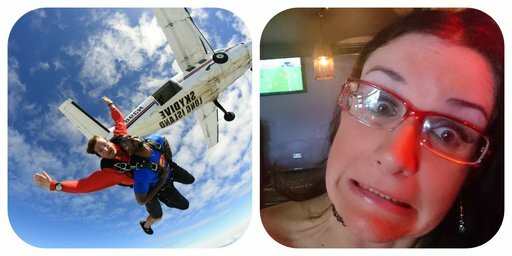 It is my first time fundraising for charity and I have decided to jump (literally) right in at the deep end and do a skydive. It seemed a good idea at the time! I have particularly chosen Fibromyalgia Action UK as I have a number of close friends who I see suffer this 'invisible' illness on a daily basis and I feel I need to help towards a cure as well as raise awareness. Research opportunity: Take part in an online survey into the role of self-compassion, coping strategies and well-being in fibromyalgia. Self-compassion is often thought of as acting kindly towards ourselves. This project aims to explore whether self-compassion plays a role in coping strategies and emotional well-being in people with fibromyalgia. This is important because it may help researchers to understand the role of certain psychological therapies in helping to support the emotional well-being of people who experience physical health conditions, like fibromyalgia. If you agree to take part, you will be asked to complete an online survey. You will be asked some demographic information about your gender, age, ethnicity and about the duration of your fibromyalgia symptoms. You will then be asked questions about self-compassion, pain acceptance, fibromyalgia symptoms, emotional well-being and coping strategies. This will take around 20 minutes to complete. To take part, you must over 18 years of age and have a fibromyalgia diagnosis. This can be a diagnosis made by a professional or you may be self-diagnosed. Dr Gemma Evans from the University of Chester is conducting this research project, which has been reviewed by a University Research Ethics Committee. Further information about the project can be found here. Awareness Week 2017 will run from Sunday 3rd to Sunday 10th September 2017 ... what are you doing to raise awareness? 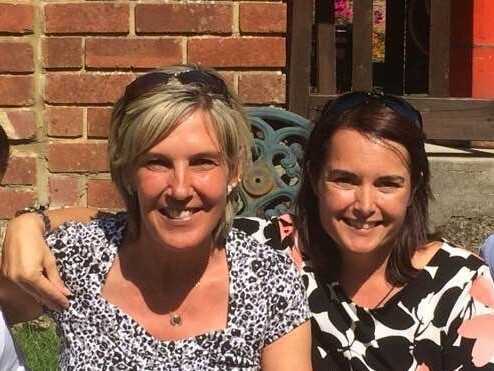 Hayley Kenward together with four friends will abseil 100 meters down the Spinnaker Tower on the 12th August to raise funds for FMA UK because her partner, Michelle, lives with fibromyalgia. The Emirates Spinnaker Tower is an iconic building soaring 560 foot (170 m) above Portsmouth Harbour and the Solent. It is taller than the London Eye, Blackpool Tower and Big Ben and has already established itself as a national icon for Britain. Hayley and her friends have raised £670 already, which is a fantastic result.